It's official, Tesla & SolarCity will officially merge! The shareholder vote passed with 85% approval on Thursday. This is great news because in many ways the merger is also a correction. As Elon wrote in his 'Master Plan, Part Deux': "That they are separate at all, despite similar origins and pursuit of the same overarching goal of sustainable energy, is largely an accident of history." It will be very exciting to see what a new Tesla Energy is able to accomplish in the future. Enjoy issue 56, and have a wonderful weekend! "I think your faith will be rewarded, it's really going to be some amazing stuff that comes out." 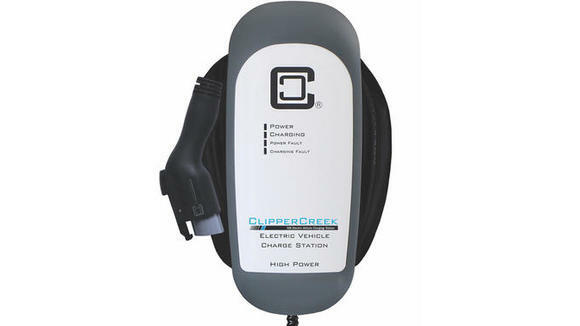 The HCS-40, ClipperCreek's best-selling charging station, is now available with a "Ruggedized" option. The HCS-40R and HCS-40PR (NEMA 6-50 or 14-50 plugs), can be used indoors or outdoors and features a rubber overmolded connector and 5-year warranty. An affordable solution for extreme weather conditions or heavy usage, it's offered for $100 in addition to the base price of $565. Go premium and join other Elon super fans. "I love following Elon Musk as he transforms the space and auto industries. Elon Musk News Premium cuts out the fluff, and delivers the information that I care about the most. I highly recommend signing up!" On Tuesday, SpaceX filed a request with the Federal Communications Commission (FCC) for approval to launch 4,425 satellites to provide global broadband and communications services. Given SpaceX already has its hands full with building a colony on Mars, jumping into the internet game seems like an unexpected move. But while a SpaceX and Tesla merger is unlikely, wireless internet could be a major boon to Tesla's driverless cars. It could be that the satellites will fill the role of the much-needed communications infrastructure required for the Mars colony to be a success. It really could just be a move to take over the much-monopolized internet industry in the U.S. Regardless of deeper motives, this new application certainly shows that the $15 billion plan has moved far past "speculation." SpaceX's Interplanetary Transport System needs a lot of fuel to function. On Wednesday SpaceX announced that it had taken a massive fuel tank out to sea for a successful test. The humongous, 40-foot-wide carbon-fiber prototype fuel tank was loaded up on a big truck and transported to a barge so it could be tested out on the water last week. In a tweet, SpaceX revealed that the tank had passed, explaining that "it hit both of our pressure targets." "Next up will be full cryo testing," the post continued. In September, Musk spoke at the International Astronomical Congress (IAC). During Musk's talk, he explained that the tank was "really the hardest part of the spaceship." 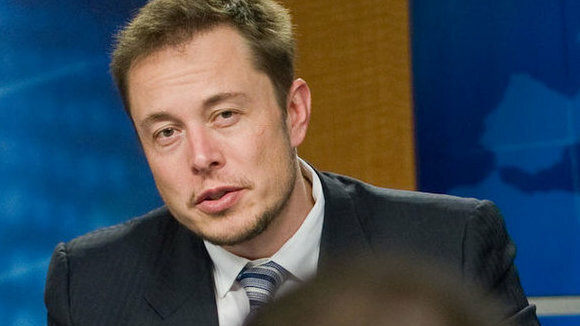 He stated that SpaceX had "a pretty good handle on," but said the tank was "the trickiest one. So we wanted to tackle it first." Mars is a television first. It's a half-scripted original sci-fi mini-series about a team of scientists who are attempting to build the first small colony on Mars in 2033 and it's a half-documentary with behind the scenes footage of researchers working at Elon Musk's Space X featuring illuminating interviews with Musk, Neil Degrasse Tyson and experts from NASA, JPL and many more. The global event series was produced by Ron Howard and Brian Grazer for National Geographic. You can watch the first episode on Youtube. For the second time in three years, the Tesla Model S has been voted the "Most Loved Model" in the United States. The electric sedan earned a Consumer Love Index (CLI) of 652 out of a possible 1000, which easily put it in first place; the Mercedes-Benz C-Class sedan earned the next-highest index, with a score of 583. In case you've never heard of this award before, the CLI was created by brand consulting firm Strategic Vision, and measures the amount of love buyers experience with their new cars and trucks. The world's fastest-accelerating car is about to get even faster. Tesla's high-end Model S will soon be able to go from zero to 60 miles per hour in just 2.4 seconds, following a software enhancement next month that shaves off a 10th of a second. That's a new threshold that distinguishes it from any other production car on the road. Elon Musk teased the update in a tweet on Wednesday—but there's a twist. When the changes are delivered wirelessly next month to all P100D Model S vehicles, the owners will have to figure out how to enable it. It's what's known in the tech industry as an "Easter Egg"—a hidden feature that requires a specific series of gestures to unlock. On Thursday, Tesla shareholders voted to go ahead with the SolarCity acquisition. CEO Elon Musk stuck around for a post-vote question-and-answer period, and let slip a huge hint about the status of the Tesla Model 3. An audience member, in true audience member style, elected to sneak in a non sequitur to the Q&A, and ask about the Model 3 instead of the merger. Musk demurred, but then answered anyway. The third reveal, he suggested, would be in the spring of 2017. "Today is not the time for that announcement, but, I mean — it's probably, yes, I don't know, beginning of spring or something like that, yes. Three or four months from now." Earlier in the Q&A, Musk also spoke a little bit more about the Model 3, just to clear up any confusion about its charging costs. Model 3 owners will not be treated to unlimited free charging, nor will any future Tesla owners who buy after Jan 1, 2017. On Thursday afternoon, the shareholders of Tesla and Solar City voted to merge the electric-car manufacturer and solar-power company into one corporation, centralizing Elon Musk's efforts to create an integrated network of renewable energy homes and electric cars. "I think your faith will be rewarded, it's really going to be some amazing stuff that comes out," Tesla CEO Elon Musk said right after the formal section of the meeting, which only lasted about four minutes. "We're trying to make an integrated product, an integrated solar roof with a power wall and a car," Musk said during Q&A portion of the special shareholder's meeting. "You just go into a Tesla store and say yes, and it all works and it's seamless, and you love it." Elon Musk Says Tesla's Solar Roof Will Cost "Less Than a Normal Roof"
"Honestly, in looking at this, it's like I don't know why anyone's not doing it — it's not that crazy hard, so beats me." Musk said. "It's looking quite promising that a solar roof will actually cost less than a normal roof, before you even take the cost of electricity into account," he said. One would expect the opposite from a high-tech, designer-grade solar roof. Musk explained, though, that the "roofing supply chain is extremely inefficient… Roofing just hasn't gotten a lot of love." Musk, with Tesla, is to give roofing that love. The big inefficiency is transportation, if we're taking Musk at his word: Traditional ceramic and concrete tiles, used for some roofs, are very heavy and tend to break. Tesla Glass, however, is lightweight — "The glass weighs maybe a third to a quarter, sometimes maybe as much as a fifth as much as regular ceramic and concrete tiles," he said — and extremely durable. Tesla, unlike these dated companies, doesn't have to spend much on careful, costly transportation to ensure that the heavy tiles remain undamaged. "Just by cleaning [the supply chain] up, there are huge gains," Musk explained. "The advantage of solar and batteries is that you can avoid building electricity plants at all. So you can be in a remote village and have solar panels that charge a battery pack that then supply power to the whole village without ever having to run thousands of miles of high-voltage cables all over the place. It's like what happened with landline phones versus cellular phones. 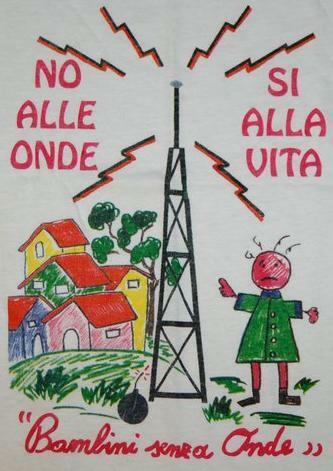 In a lot of developing countries, they just didn't do the landline phones. They went straight to cellular." In another "it's really happening" moment with the hyperloop following the announcement of a new system in development in Dubai, Hyperloop One announced today that it installed the very first tube of its "DevLoop" in North Las Vegas. In order to truly understand the significance of this event, you need to consider that if they complete this 'DevLoop', which looks on its way to become the first full-scale hyperloop system, they will have technically created a new mode of transportation. To build OpenAI Elon Musk and Sam Altman recruited several top researchers from inside Google and Facebook. But if this unusual project is going to push AI research to new heights, it will need more than talent. It will needs enormous amounts of computing power. Google and Facebook have the resources needed to build the massive computing clusters that drive modern AI research, including vast networks of machines packed with GPU processors and other specialized chips. Google has even gone so far as to build its own AI processor. But although OpenAI says it's backed by more than a billion dollars in funding, the company is taking a different route. 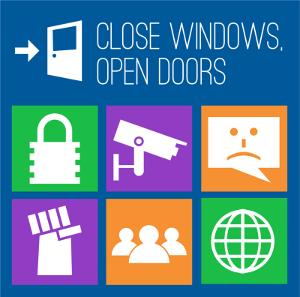 It's using cloud computing services offered by Microsoft and perhaps other tech giants. "We have a very high need for compute load, and Microsoft can help us support that," says Altman, the president of the tech incubator Y Combinator and co-chairman of OpenAI alongside Musk, the founder of the electric car company Tesla. According to Altman and Harry Shum, head of Microsoft new AI and research group, OpenAI's use of Azure is part of a larger partnership between the two companies. In the future, Altman and Shum tell WIRED, the two companies may also collaborate on research. "We're exploring a couple of specific projects," Altman says. "I'm assuming something will happen there." This design is brand new! 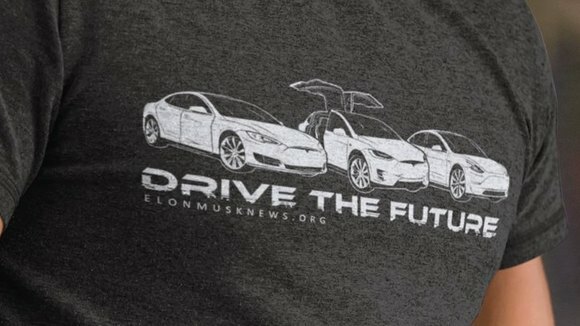 Celebrate Tesla's revolutionary cars with this limited edition shirt featuring the Model S, X, and 3. Only available here.